When Albert Einstein was a professor at Princeton University in the 1940s, there came the time for the final exam of his physics class. His assistants passed the exam forms to the hundreds of students, and the hall was dead silent. One of the assistants suddenly noticed something was wrong. She approached Einstein and told him that a mistake had been made with the exam form and that the questions were the same as those in the previous year’s exam. Einstein glanced over the exam form and said that it was OK. He explained that physics had changed so much in the last year that the answers to the questions were now different. The lean startup movement, like Einstein’s physics exam, talks about the same things that UX people have talked about for decades. The difference is that people are now listening. Lean UX is an approach that quickly followed the lean startup movement. It is not a new thing. It’s just a new name for things that were always around. The difference is in the packaging of these ideas. One other factor that has changed dramatically is the audience. Entrepreneurs and startup founders have always been asking themselves how to develop great products. The answer that UX practitioners, usability professionals and UX researchers have been giving them was too complicated. UX people (me included) have been using disastrous jargon that only we understand. We have been talking about usability tests, personas, field studies and areas of interest in eye-tracking studies. The lean startup answer to the same question uses plain language that people understand. When I say, “We need to conduct a contextual inquiry,” I usually get a deer-in-the-headlights reaction. When a lean startup person says they are “getting out of the building,” it is a whole different story. We mean the same thing; we use different words. Does it matter? I think it does. Who would have thought that startup companies would be looking for UX people and UX founders, and would become interested in doing usability testing, iterative design and customer interviews? 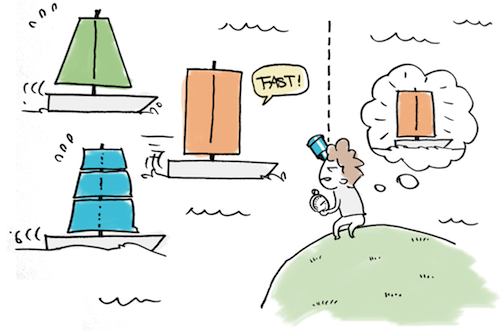 This article takes the principles of the lean startup and suggests their UX research equivalents. Hopefully, it sheds some light on why the lean startup concept is so very well accepted in the entrepreneurial world and why startups suddenly want to do UX research and design. The lean startup movement claims that startups exist not just to make stuff, but to learn how to build sustainable businesses. This learning can be validated scientifically by running frequent experiments that enable entrepreneurs to test each element of their vision, as outlined by Eric Ries in his book The Lean Startup. In my interview with Ries (embedded below), the most familiar voice of the lean startup movement, for my book It’s Our Research, he calls for entrepreneurs to double-check their assumptions to verify that they are right. He determines that validated learning exists to help entrepreneurs test which elements of their vision are brilliant and which are crazy. In the UX world, we call in the product development people to evaluate their design assumptions in usability tests. We urge them to ask users to complete tasks while using the think-aloud protocol and to identify usability problems. An interview with Eric Ries about getting stakeholder buy-in for UX research and how it relates to the Lean Startup ideas. When entrepreneurs hear “validated learning,” they can see the benefit. They understand that this concept refers to proving or disproving their assumptions. When they hear “usability testing,” they associate it with a time-consuming, money-eating, academically oriented project. 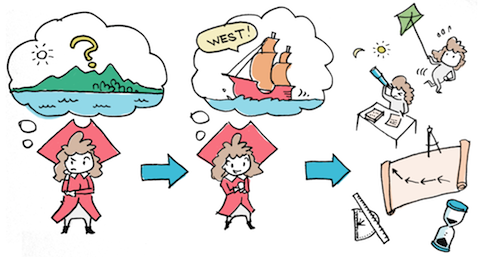 Validated learning: You believe you’ll find a new continent if you keep sailing west. So, you test your idea and verify the route using scientific methods and measurements. The fundamental activity of a startup is to turn ideas into products, to measure how customers respond and then to learn whether to pivot or persevere. All successful startup processes should be geared to accelerate that feedback loop. As Ries explains, the feedback loop includes three primary activities: build (the product), measure (data) and learn (new ideas). Eric Ries’s Build-Measure-Learn feedback loop and the Think-Make-Check UX cycle. The lean UX approach calls for a slightly different cycle: Think-Make-Check. The difference, according to Janice Fraser (cofounder and first CEO of Adaptive Path), is that this latter feedback loop incorporates your own thoughts as a designer, not just ideas learned through measurement. Janice, who now leads LUXr, indicates that the pattern of a lean startup is an endless loop consisting of two steps: Prove-Improve, Prove-Improve, Prove-Improve. This means that you design something, learn about it, make it better, learn again and so on. There is no room for people who are afraid to put their creations on the line for testing. These two feedback loops are very similar and are making a lot of sense to people in both the entrepreneurial and the UX worlds. Build-Measure-Learn: How do you build the fastest ship? You try to build and test your hypothesis; you measure the result; and then you learn new knowledge that you can bring to your next ship design. The minimum viable product (MVP), as Ries explains it, is a version of the product that enables a full turn of the Build-Measure-Learn loop with a minimum amount of effort and the least amount of development time. How many times have UX people told their stakeholders that for every dollar spent on solving a problem during product design, $10 would be spent on the same problem during development, and $100 if the problem had to be solved after the product is released? We’ve known for years that product prototypes are to be evaluated early in the development process (not just prior to launch). We’ve also known that these evaluations are most valuable if they are repeated throughout the process. The MVP is, in fact, an early prototype that serves as a tool to learn and test the team’s assumptions. MVP: You want to build a huge ship, but instead of building the ship right from the beginning, you start by testing your idea with minimal design to see if it floats. To use the analogy of a basketball “pivot,” one foot of a business is always firmly rooted in what the team has learned so far, while the other foot is moving and exploring new ideas for the business. Instead of taking the big risks of developing something huge, lean startups take small steps forward, developing things and pivoting to better directions. This way, if they fail, the fall will be less painful and will allow them to bounce back and continue. On the other hand, if they had climbed a big cliff, the potential fall would be deadly. By the time the team is ready to start working on the next version, there’s already a long list of new features to be developed, leaving the usability issues low down on (or off) the priority list. The solution to all of this is to adopt an iterative design process that involves fast rounds of small-scale usability tests. Jakob Nielsen has been preaching this for years now. And then along comes Eric Ries, who talks in the most natural way about pivoting companies, directions, customer segments and design. People don’t iterate, they pivot. Pivot: You want to defeat your opponent, but it is difficult to win instantly by launching a full-scale attack in one shot. The proper way would be to advance and attack step by step, always keeping one foot on the ground and ever ready to bounce back in case an attack is not successful. The term “customer development” was coined by Stanford University professor Steve Blank, one of the fathers of the lean startup movement. Customer development means developing your own understanding of who your customers are, what they are like and what their needs are. This is done through an approach guided by the mantra “Get out of the building.” This mantra urges entrepreneurs to interview potential customers, to observe them in their own environment and to try to make sense of it. What a revelation to our UX research ears, huh? We UX people have been getting out of the building for a living for decades now. We call it by different names: ethnography, fieldwork, generative research, exploratory research, discovery research, user research, design research. Phew! Customer development: You want to trade with a country in the Far East. However, when you finally get to talking with the people of the country, you realize that they prefer to trade with your scientific equipment rather than your gold coins. The lean startup movement, like the story of Einstein’s physics exam, talks about the same things that UX people have talked about for decades. The difference is that people are now listening. The lean startup movement, followed by the lean UX approach, did not reveal any new UX concept. Lean startup thought-leaders do a terrific job and do an awesome service to UX people who struggle to get buy-in for design thinking and UX research. The secret sauce of lean startup people is that they advocate for user experience research and design as one of the primary solutions to their business problems, and they do it using plain language. I highly encourage UX practitioners to closely monitor the developments and thought-leadership in the lean startup world to see how they can use what they learn in their own organizations, “lean” or not. “An Interview With Eric Ries,” Tomer Sharon (18:06 minutes) About UX research and the lean startup movement. “An Interview With Steve Blank,” Tomer Sharon (18:01 minutes) About UX research and customer development. “A Conversation With Lane Halley,” Tomer Sharon (19:05 minutes) About lean UX. “An Interview With Jeff Gothelf,” Tomer Sharon (8:21 minutes) About lean UX. “Crushing the Boulder: User Experience and the Lean Startup,” Janice Fraser, MX 2011 conference (40:37 minutes). Illustrations by Calvin C. Chan, (@calvincchan), UX designer, Hong Kong.